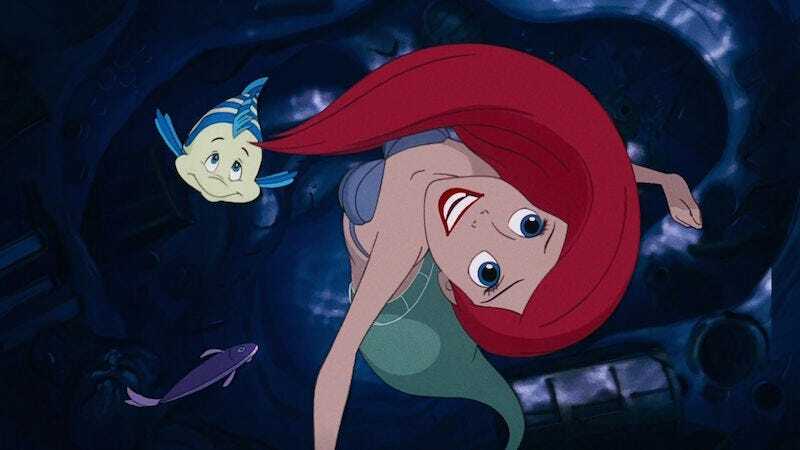 Amidst the excitement over Disney’s live-action Beauty and the Beast, the titan of childhood whimsy has also revealed plans for a live-action version of The Little Mermaid—which would then be competing with Universal’s live-action Little Mermaid, starring Chloe Grace Moretz. According to Deadline, producers are still determining whether or not they will proceed with updating the 1989 film that sparked Disney’s animation renaissance (further solidified with Beauty and the Beast and Aladdin). But with the success of the live-action Jungle Book and the buzz surrounding the forthcoming Beauty and the Beast, the financial opportunity is prime. There are a number of other live-action projects in the Disney pipeline: Emma Stone will star as the titular character in Cruella; Ava DuVernay will direct A Wrinkle in Time; and Emily Blunt and Lin-Manuel Miranda are slated to star in a sequel to Mary Poppins. Tim Burton will allegedly direct a live-action Dumbo, which somehow feels appropriate, and Reese Witherspoon is set to star as Tinker Bell. As for The Little Mermaid, well, you can start compiling your dream cast now. And hey, Disney: choose your Ursula wisely—everybody knows that she’s the best part of the film.